All Meals and snacks throughout the ship are included – Dining Information. Open Bar throughout the entire cruise and on Great Stirrup Cay. – Open Bar Details. Non-stop fun, daily contests, nightly theme parties including Norwegian Sky's famous "White Party" - Ship Details. The bars, clubs, and after parties are all right on board the ship. 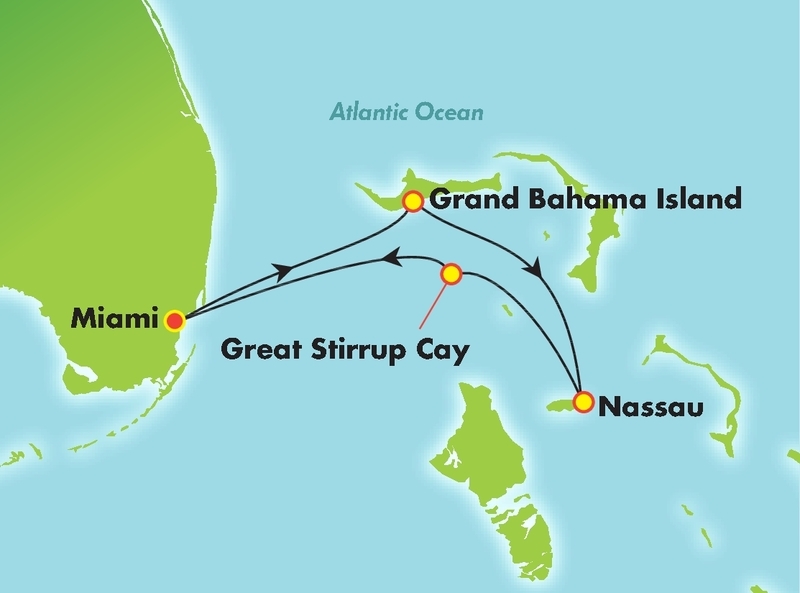 Visit 3 different islands in the Bahamas (Grand Bahama, Nassau and Stirrup Cay. No passport required! (US Citizens can travel with state certified birth certificate together and Photo ID*). Experience the only hosted Spring Break Cruise with the largest group of college students on board! Serving a wide variety of culinary delights to please every palate, Norwegian Skys complimentary dining options include two main dining rooms, a help-yourself buffet and a variety of casual cafes, grills and on-the-go choices. Plus, the Main Dining Rooms offer a menu that changes daily, Chef's Signature Dishes and carefully selected wine recommendations, guaranteeing a different culinary adventure with every visit. Enjoy Free Unlimited Beverages, including top-shelf liquors. With so many bars and lounges to discover, finding your favorite may take a few days. Grab a cocktail or coffee inside the Atrium Cafe and Bar. Dance until the wee hours at Dazzles Nightclub, a fully equipped disco and bar. Or catch the game and a cold one at our sports bar. Whether you’re looking to meet up with friends or make new ones, there is always an opportunity to mix it up.